Jeep AMC 360 with TF 727, to a GM NP205? Possible? price? I believe the 727 has either 23 or 27 spline output. I believe I have the some components here that will help you out. Sending PM. What about a 4wd SM465 (fig 8) to a Ford NP205 (round 6)? I am going to see if I can get all the 10 spline stuff out of the Chevy NP205 and put it in the Ford NP205. We can build what you need. Sending PM now. Waiting for a reply so I can put an order in. On the road right now. I'll get back with you in about an hour. Thanks! Response sent, let me know if you have any other questions. Have a couple configurations in stock. Let us know what your looking for. FS-6406A Fuller Six speed to NP 241 married adapter?? Even before I dig in, I am sure we can make an adapter, the real issue is coming up with a robust means of mating the output shaft to the 29 spline NP241. We can make splined shafts, but internal splines would be an issue in house(effectively). 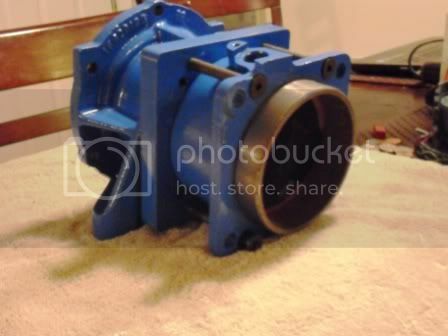 Whats the output spline configuration of the Fuller you have in mind? If you have the tail housing from the fuller we could measure it up and design an adapter to mate up, but I'd say mating the output to the input of the 241 is the long pole in the tent. I'll read up on this in the next couple days and see what comes up. I personally own two 12valve's both with NV4500. I am obviously aware of the trans issues, but I can say even with 360HP/790 Ft/Lbs I'm at 333,000 miles and once the trans was put together with the right parts I haven't had issues in 130,000 miles. nv241 converted to divorced set up? Might be easier to set the married nv241 up as a divorced tranfer case so could just run a divorced set up with a jackshaft to the Fxo fuller, that way avoid having to outsource the inside spline cutter for the married coupler??? Guess that depends on what yoke will fit the np241 if its converted to a divorced set up?? AWESOME JOB! this a GREAT product...I forsee lots more sales as people get the word that you make these.... I will definatley put your info in my build thread I will order in a few days . I got this pic from another board I am a member on(shouldnt be an issue?) so it might help with some of the 2wd 4wd 4l80e commonly asked questions? Another quick question this adaptor comes fully welded and bolt up ready or do I hafta weld it to the specs wanted? I am a relative Noob to this so any and ALL help is greatly appreciated. Last edited by 72ChevySWB4x4; 08-23-2011 at 12:20 PM. yah negative on my welding skills I'm just trying to avoid buying this from A.A. your deal seems to work just depends on cost after welding. That adapter from AA won't work in your application unless you rebuild your transmission with a different length output shaft and machine down the lip in the front of the adapter to fit the 4l80E. AA has a limited selection for 2wd transmissions mating to transfer cases unless they had fully splined output shafts. If you have a factory adapter already your most cost effective path is to add a spacer to make up the difference. All the 4L80e adapters I see, seem to have an O-ring and a raised lip. Your adapters seem to be flat where they mate to the trans.... Is this correct? Aslo can you post pics of a 4L80e to Round NP205 kit? 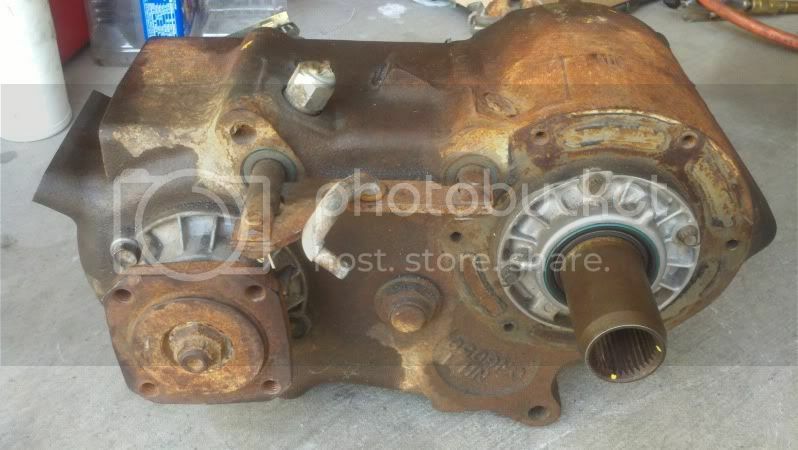 The NP205 I have (pictured below) has a retainer around the input shaft. Does your adapter use this or replace this? Last edited by MCMLXIX; 08-23-2011 at 09:19 PM.